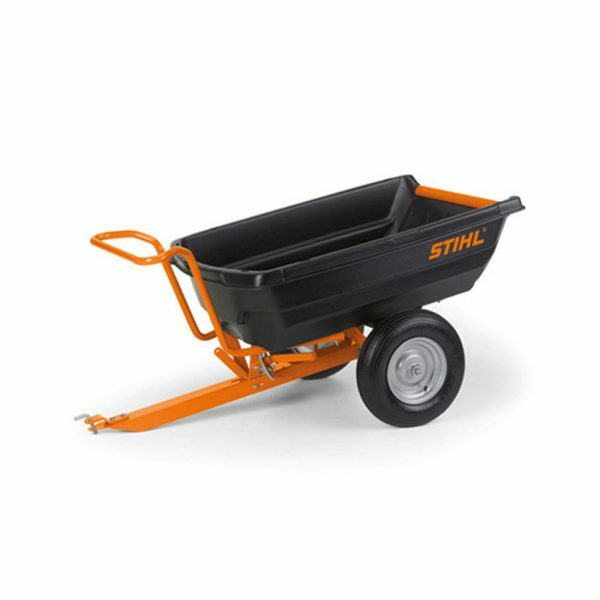 This Stihl PICK UP 300 Tilting Trailer is ideal for bulky garden material. The Pick Up 300 can also be used as a wheelbarrow. Easy to use. Weight 29 kg. Suitable for Stihl 4/5/6 Series lawn tractors and ride-on mowers.